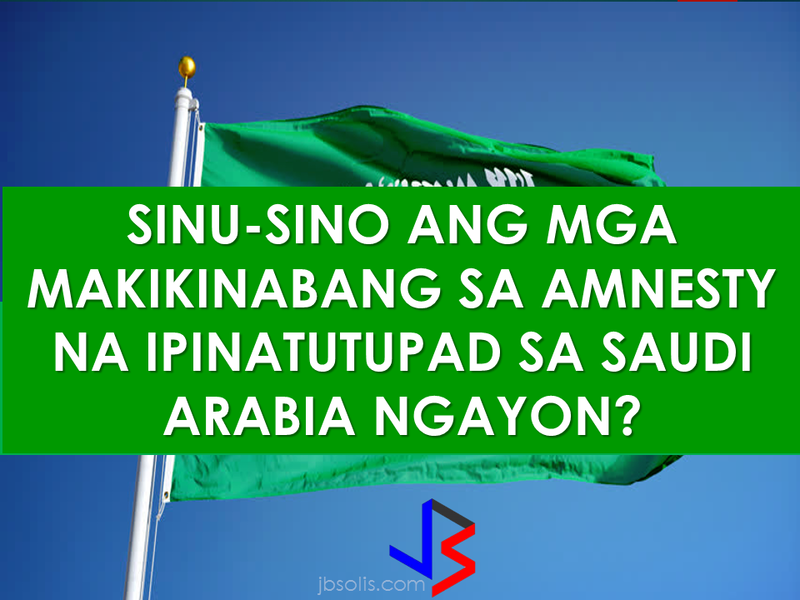 THOUGHTSKOTO Thoughtskoto : WHO WILL BENEFIT WITH THE AMNESTY NOW IN KSA? "Nation without violation", a statement made with the announcement of the Ministry of Interior thru Crown Prince Mohammed Bin Naif Al Saud, who is also the Deputy Minister. Their campaign for amnesty will start March 29, 2017. Please be reminded that the amnesty is applicable only to those expats with following situation and without police cases. Who are considered illegal workers? 2. Those expats who took pilgrims without permit. 3. Those expats who entered the KSA border illegally. 4. Expats who has expired visa. 5. Expats who has work permit but without iqama. 6. Those expats who ran away from their company. Who will shoulder my ticket? As of now we are waiting for the advisory of the embassy to whom will issue the repatriation ticket. What will happen to the undocumented expat with children? From the previous amnesty taken last 2013, all undocumented expats with children should present proof of identity of the child. 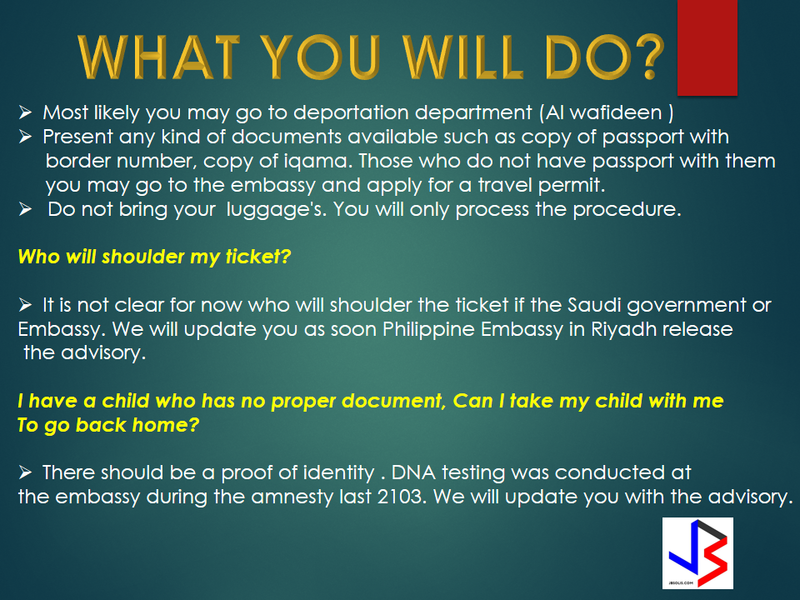 The Embassy conducts DNA testing to the mother and child. If I will apply for the amnesty , can I come back again as legal worker in Saudi Arabia? Yes you can, as per amnesty rule you will be exempted to undergo deportee fingerprint system that will clear your record and be able to work again. Illegal workers are allowed to come back to the kingdom provided they avail the amnesty within the 90 days period. 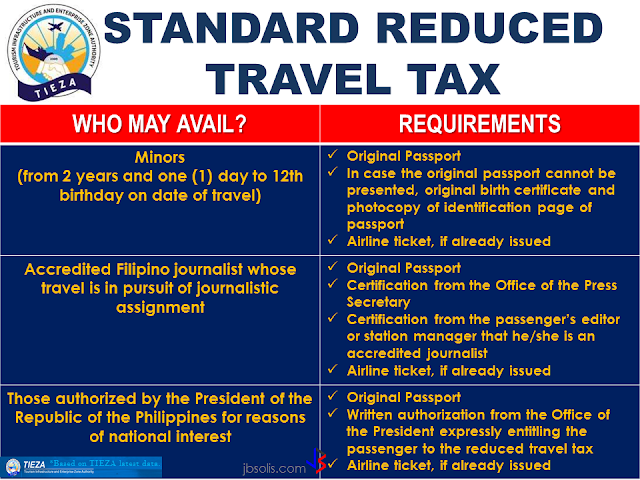 They will be exempted to undergo the deportee fingerprint system. No fees and violations are to be paid within the amnesty period. 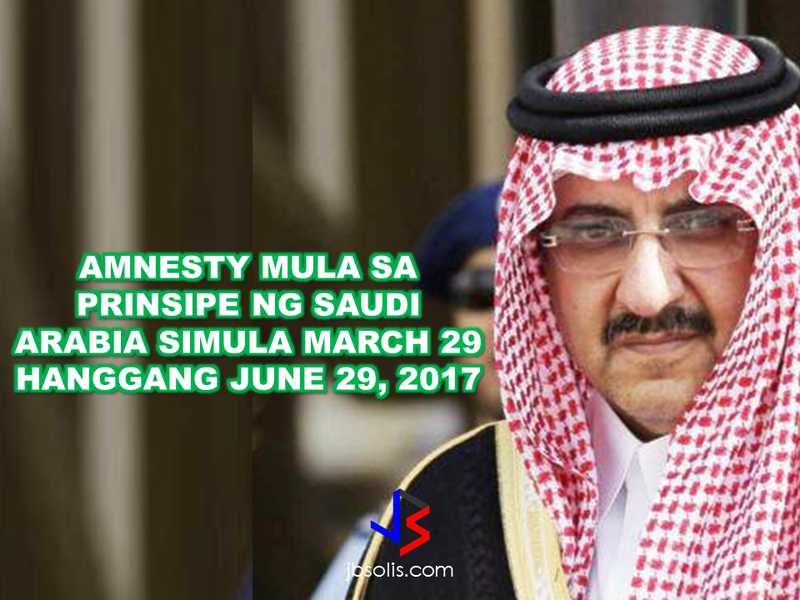 The last time that the Saudi government declared amnesty on all illegal expats was way back 2013. 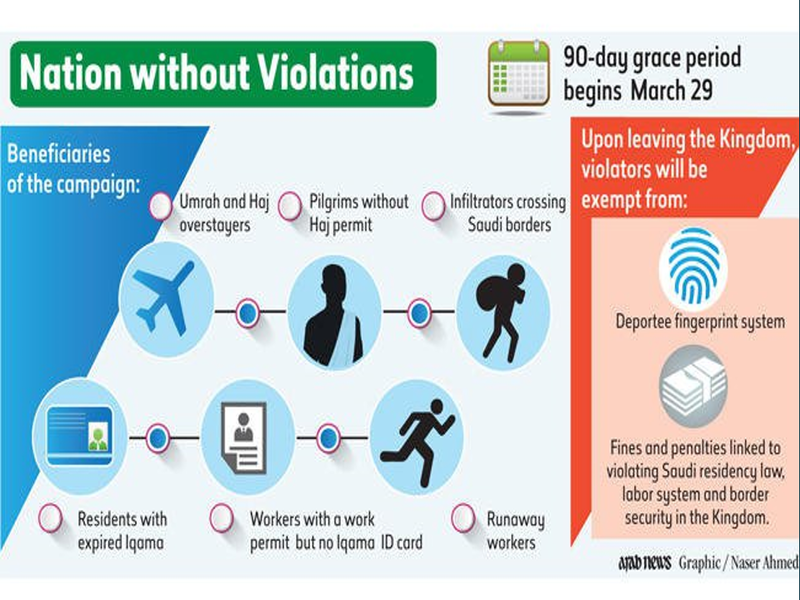 Crown Prince, Deputy Prime Minister and the Minister of Interior,Prince Mohammed bin Naif Al Saud, stated in his speech during “A Nation Without Violations” campaign inauguration, that the program focuses on solving the residency and labor law violators status. It will also will also help individuals who wish to solve their violations and avoid sanctions.